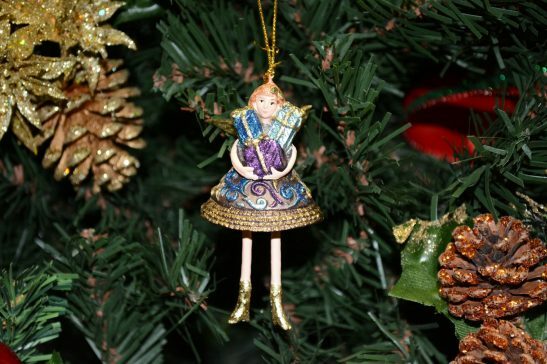 Christmas Angel Ornament - Indigo - Ornamenttastic! We are proud to offer this beautiful Christmas angel ornament in indigo as it is a popular addition to any Christmas decoration or tree. 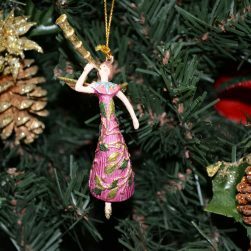 A delightful and vibrant indigo color our angel ornament makes all around her glow with Christmas spirit and excitement. 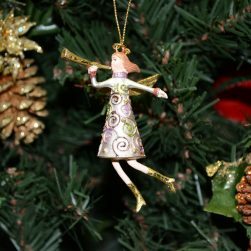 Like our other ornaments, this Christmas angel ornament is hand made using construction wire, reinforced resin and then each one is hand painted. Be the first to review “Christmas Angel Ornament – Indigo” Click here to cancel reply.